These shades are inspired by the sky and sea, taking inspiration from some of the city’s most iconic attractions, including the Embarcadero, the Golden Gate Bridge, Lombard Street and the Cable Car. There’s no lack of blues, reds, greys and burgundies to explore, and if you want the gritty city feel, the Liquid Sand shades will be sure to please in blue, grey and taupe. Chill with A-Piers To Be Tan. This earthy cafe au lait-like tan is ideal for the cafe denizen or the nature-loving bohemian girl. Feast your eyes upon Dining Al Frisco. This pale pearly blue is the wind blowing through your hair on the restaurant patio. We love this color and think you will too! It’s okay if you Haven’t The Foggiest sometimes. 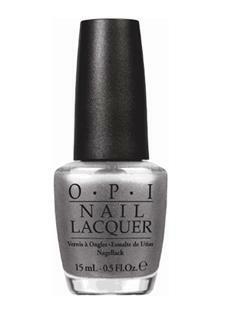 This glittery gray will make you look like you’re on top of everything. Get street smart with Peace & Love & OPI. This opalescent eggplant and sage is great for those who can’t choose one color. It’s fantastically holographic! Go deep-sea diving with Keeping Suzi At Bay. 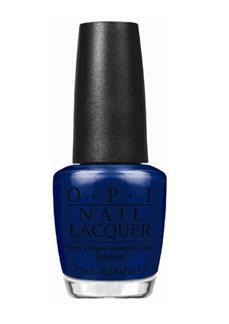 This navy blue is cool, composed and will tell you exactly what she wants. Go the scenic route with Embarca-Dare Ya! This magnificent magenta sparkle is just what we needed to calm down that road rage. We dare ya to try it yourself! Fall in love with First Date At The Golden Gate. You and me and this shimmery ruby red makes three. Get lost across the bay at night in Incognito in Sausalito. This blue-black may look like the night sky, but you’ll be shining bright as day. We’d love to try it as a base for galaxy nail art! Swerve down the street with Lost on Lombard. This elegant garnet red is diva-licious. Bite into I Knead Sour-Dough. This shimmery, toasty brown won’t burn your fingers, but your nails will be be super hot! Be the wicked witch in Muir Muir On The Wall. This perfect plum is the fairest of them all, just like you. Hop on the streetcar with In the Cable Car-Pool Lane. This rich burgundy is for the trolley-chaser in all of us. Get shakin’ with It’s All San Andreas’s Fault. This textured earthy taupe is so divine it just might move mountains. Meet the seals with Wharf! Wharf! Wharf! This dark blue texture sparkles as much as the Bay Bridge at night. Break out with Alcatraz …Rocks. 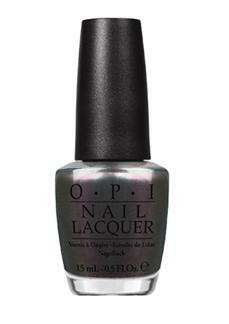 This textured gray may start a glamour riot. We won’t tell, promise. This entry was posted in Collection previews and tagged 2013, fall, nail polish, nailpolish, new opi, new opi collection, opi, opi fall 2013, opi fall winter 2013, opi san francisco, opi winter 2013, san francisco, winter by phoenixbeautylounge. Bookmark the permalink.